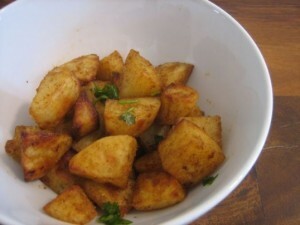 Aaloo Chatni recipe by Mrs Samiya Abid at DesiRecipes.com. People who love flavors should definitely try this delicious recipe of aaloo chatni. Heat oil in a pan put zeera , kari pata and green chillies in it. Then add potato in it, add salt to taste and blackpepper. Add turmaric powder, cover and cook on low heat. After 5 minutes turn off the heat when potatoes become tender. Garnish fresh corrainder leaves and serve hot with chapaties. There are 1 comment(s) for this recipe.